Do you need more AUM? Then this is for you. It's the easiest way for Investment Advisors to grow their Book. In 2009 like many of you reading this, I just went through the craziest market correction since the depression. Markets were tumbling, fear was everywhere, and uncertainty dripped off the foreheads of most Investment Advisors and Planners in the form of nervous sweat. How do you grow AUM in a market like that? By being a contrarian and understanding the 6 human needs we all have. The most important one at the time was certainty. Investor confidence was at an all-time low. I remember it being reported somewhere that 61% of clients were thinking of leaving their Financial Advisor at that time. Picking up on that, I created a “second opinion” marketing strategy that doubled my AUM in 18 months. Fast forward to 2018 and confidence is still low with Advisors. The CFA Institute's 2017 report backs this claim up. The downturn is going to happen again, are you ahead of it, or will you be behind it? To get ahead of it, you will need to expand the presence of trust in your practice. One of the easiest ways to do this is to make sure you continue to eat, breathe and speak your why. By communicating your vision for what's possible and the mission you're on to take a stand and see that happen, you will build a community around you like no other. Ho do know if you have the full trust of your clients or just their confidence in your ability to "get the job done?" If you only have part of their portfolio your clients have confidence in you but they have not given you full trust. There is a distinction. Here are the steps I took to build a moat around my practice and to attract new clients to my community. Target the top referrals from my existing clients. I spoke with my top clients, shared my vision, and created a possibility with them. That possibility was us to help those close to them…we were both a part of that process. It wasn’t about me selling a product. Instead, it was about us protecting their family and friend’s portfolios together. It was a partnership in a time of crisis. I had to enrol my clients into this possibility. Identify a niche market that I could send my marketing to. I went through a specific process to find the best, most profitable niche market FOR ME. Today I call that process the niche market formula. This process enabled me to align with a market that I resonated with, had credibility with and could relate to. I didn’t chase the usual markets like everyone else. My story, vision and passion were received more authentic this way. Use the custom images I had designed to create the postcards and greeting cards. Use these to drive people back to my landing page (website) to capture these leads, have them book a meeting, download my second opinion kit. I had many options for them to self-serve what that needed, all of which had a clever email campaign tied to each of their choices. I retargeted them using a custom thank-you video using my favourite video email service Talk Fusion. Once they watched the video, Talk Fusion sent me an instant notification which I sent a follow-up email/or phone call to book the meeting and get to the next step with them. Connect with them on LinkedIn using our neuro-messaging sequence to build trust and establish credibility. All along the way, I created WOW for them and increase my trust and credibility throughout the entire process. I sold my practice in 2015 for 3x earnings to a private equity firm. Now I help Solopreneurs have more fun and free time, by achieving these same results by focussing on building trust in their sales, marketing and service. If you like this idea, you’ll love the campaign I designed for mortgage life insurance. 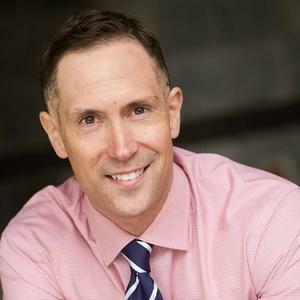 Ty Hoffman is Founder & Lead Strategist at Sales Appointment Engine, is a Qualified Trust Practitioner with Reina, and is one of North America’s foremost trust-building experts is it relates to social media, sales, marketing, prospecting & team cohesion both on & offline. He is the Author of Lure Factor - the 5 essential steps to accelerating trust & increasing your referability to be the trusted authority in any niche.